Makiko surprised me with her strength of character portrayed through her roles. and despite that she still has a firm grip on humour and knew when and how to inject that at the right moments. i've only caught "shoumuni final" and "sudden storm" and i'm certainly looking forward to watching more of her shows! Certainly a rare actress who packs charisma, looks, height, etc etc! Overtime is the first drama which I started to notice this tall and beautiful lady. Wonder how she can manage to keep up with her figure and looks at her age? Her acting is very good too always protraying the stronger character with a funny side to it. She is my favorite Jap Actress right now! Excellent acting skills, playful and sad at the same time. 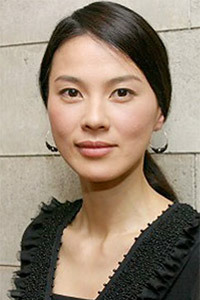 She was excellent in Love Revolution and the Shomuni series, two completely different roles, both well done. Saw her first in Overtime, didn't really like her then. As I watch more of her, I find that she is classy, sophisticated and a great actress! The more you look at her the more you find her beautiful. u are so tall n fantastic... i like ur personality in that drama !!! all the best to u !!! yea~ i use to like her a lot since i was a child.. when i watch her show..
but.. i didnt really get to see her new shows now? whyy?? She's just perfect. Her role in Shomuni is amazing, I loved her when I saw that dorama! My favorite drama actress. She can be rude, cute, elegante... as I said, PERFECTION. Beautiful, yet goofy at times; strong, but sweet; Makiko is very likeable as characters like Natsuki (Over Time) and Chinatsu (Shomuni), who are different as night and day. I started liking her when I watched Overtime, which happens to be my all time favourite. Thought she was very classy and elegant. She's got a very nice face contour too. I can't believe she's near 40! and she's also very tall. Afterall, she's a good actress. I really like her in Shomuni! She was really funny in it. This is one hardworking woman. She's in so many dramas. Most notably the Shomuni series, upon which I first became a fan. This woman is awesome! I think she's really beautiful, cool and also a very versatile actress! can be serious or funny.. like in Shomuni! I just think she's great! still elegant and wonderful person even she's pass 40 .love her in every character that she brings .hope can see her more in latest dramas ! She's the reason I watch Japanese drama serials. She's so beautiful and the characters she portrays are always so intense. Love her! Tall, cool, great in Shomuni and Overtime. She's beautiful. I especially love her cameo in GTO as the nurse. Haha. sHe's a good actreSs! tHe wOnderfuL kyokO played bY her in Love RevolutiOn really captured mY heart!! Esumi is so gorgeous and she exudes amazing charisma and power on screen. Classic leading lady power. she looks serious but she can act in every mood. i really love her in shomuni. she is so natural. Fell in love with her in Shomuni. Has proved to be a versatile actress, and very talented too. Because she's stunning. And because she can be strong without looking like a fake. A good actress and beautiful as well. I also like her outfits in Love Revolution. love her acting, smthg abt her that really makes e whole drama enjoyable 2 watch! Esumi Makiko represents feminine beauty. Love her acting in Love Revolution. Gives me the feeling of a very strong and funny lady. And tall too. haha.